Xposed Modules are a source of infinite power for the Android power-user. After all, with Xposed Modules, users get the power to cherry pick almost every aspect of their device on a system level, instead of depending on custom ROMs and third party apps to perform some changes. There are quite a lot of Xposed Modules out there. For customisation, enhancements and more, there’s an Xposed Module for almost anything you may ever want to do with your device. And there was one for privacy as well. Xprivacy was an Xposed Module that allowed users to protect their personal data by feeding fake data (or no data at all) to select apps. However, that module hasn’t been updated for anything above Android Marshmallow, which leaves all of us Nougat and Oreo users out in the cold. Well, XDA Recognised Developer M66B has since ported the XPrivacy module to work on devices running Android versions 6.0.1 and above, and he’s named it ‘XPrivacyLua’. M66B used the scripting language ‘Lua’ to write the module, hence the name. XPrivacyLua brings all of the cool features of the original XPrivacy Xposed Module to newer Android devices. There are a ton of features in the module, but the basics are all the same as XPrivacy. 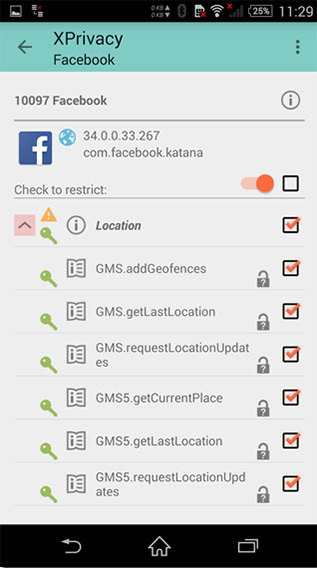 Instead of denying apps invasive permissions like your contact details, GPS location and more, the XPrivacyLua module feeds them incorrect data. The app thinks it’s getting data and works smoothly, and your privacy remains protected. It’s a win-win, except both the wins are yours. The XPrivacyLua module is currently in Alpha, which means you should expect a number of bugs. However, if you’re really concerned about your privacy, and you don’t mind running Alpha modules on your phone, XPrivacyLua is available for download from the Xposed Module Repository, as well as from GitHub. If you do end up using XPrivacyLua, do let us know your experience with the module in the comments section below.